The best advice, from Australia’s most trusted source of breastfeeding information, right in your pocket. Get the right information, so you can make the best choice. 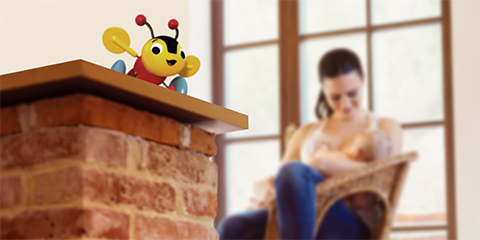 Feed Safe is a collaboration between the Australian Breastfeeding Association, Reach Health Promotion Innovations and Curtin University. It is based on the latest research, and the official guidelines of Australia's peak health and medical research body, the National Health and Medical Research Council. Feed Safe is available for free, for iOS and Android devices. To learn more about the app, read our FAQs or contact us. Feed Safe was made possible by a Healthway health promotion project grant. Feed Safe has now been downloaded by more than 150,000 women across Australia and New Zealand, and has been used more than 1.5 million times since its release in 2014. 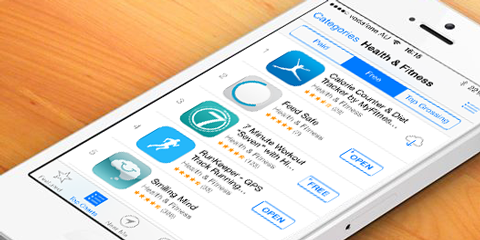 It spent several days as the second most downloaded free health and fitness app in the Australia. You can help us to get the word out. If you have installed Feed Safe, please consider rating it and leaving a short review on the App Store or Google Play. You can also share this page on Facebook. Feed Safe is now available in New Zealand. 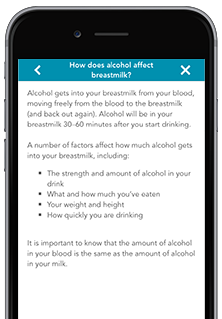 Released in collaboration with WellSouth Primary Health Network, the app contains official recommendations from the NZ Ministry of Health, as well as local contact details for breastfeeding information and support services. 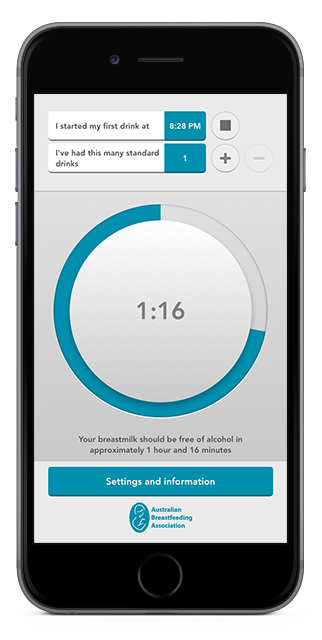 Feed Safe contains answers to the most common questions about alcohol and breastfeeding, with information from Australia's most trusted experts. Feed Safe includes a timer. 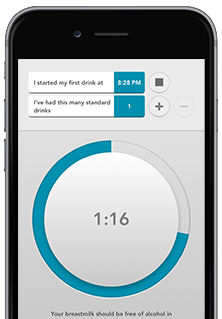 If you decide to have an occasional drink, the app uses your height, weight and alcohol intake to accurately estimate when your breastmilk should be free of alcohol, and alert you when this time has been reached. 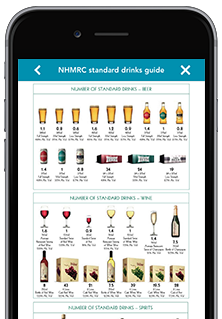 Feed Safe includes a handy Australian standard drinks guide, to help you to understand how much alcohol is in a range of common drinks. 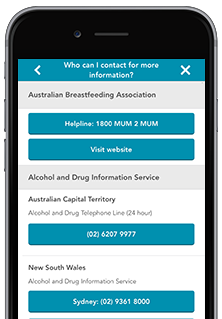 Feed Safe includes contact information for the Australian Breastfeeding Association helpline. It also includes contact numbers for Alcohol and Drug Information Services around Australia. You can call your local service directly from the app. Breastfeeding image © Sean Nolan. Used with permission.